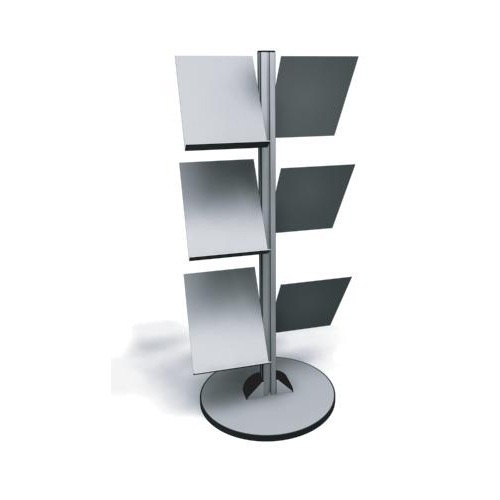 Organize and make your collateral visible and available. 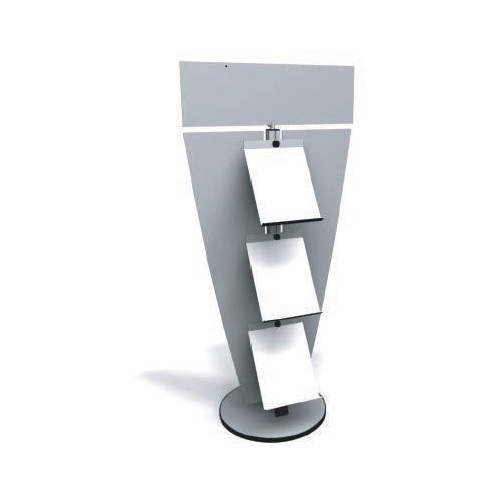 Easy access to promotional information will keep your company in the forefront of attendees' consideration. 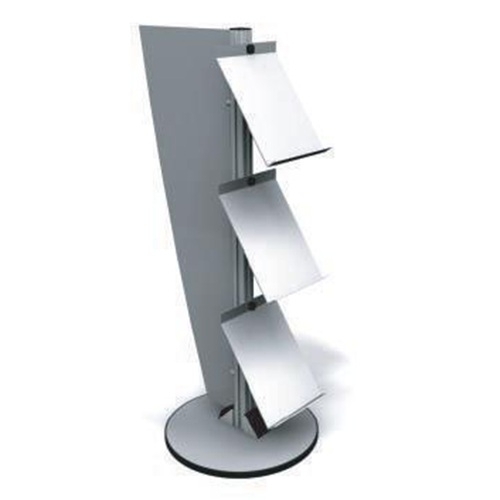 Literature stand with a modern design provides a simple set up and optional graphic printing on the wings and header. 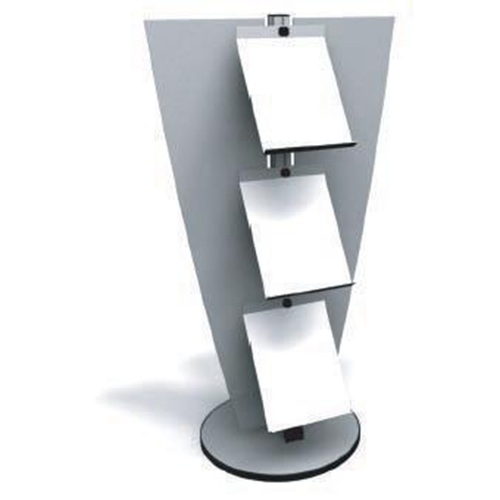 3 brochure shelves and inverted triangle design. 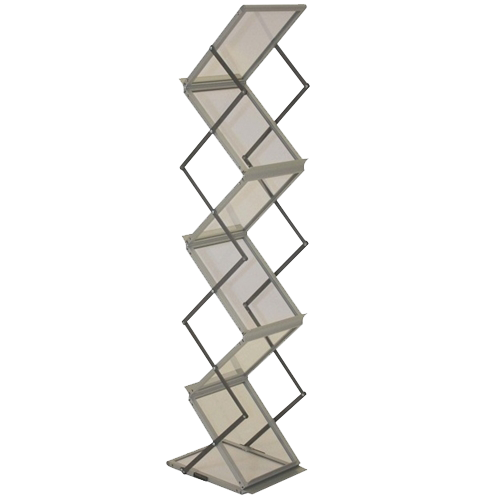 Literature stand with a modern design provides a simple set up and six shelves for displaying your literature at your next trade show, expo,or special event. 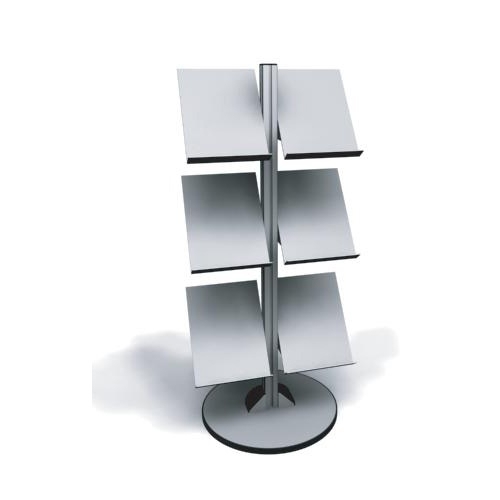 Literature stand with a modern design provides a simple set up and six shelves for displaying your literature facing two directions. 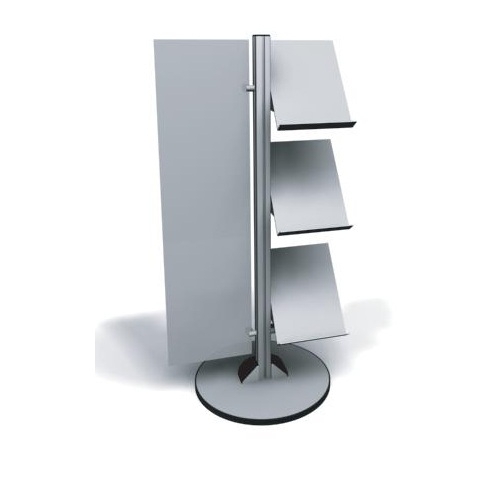 Literature stand with a modern design provides a simple set up and optional graphic printing on the wings. 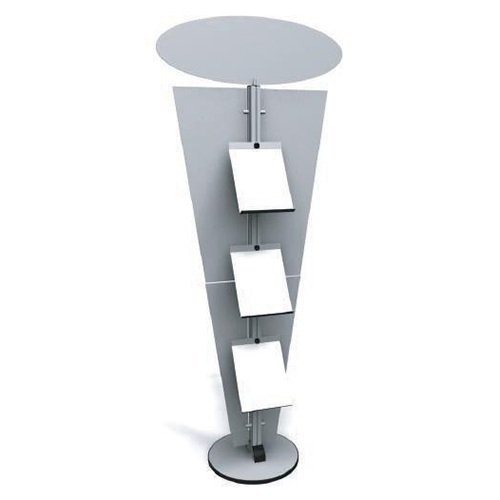 Six pocket collapsible literature stand designed to hold 8.5" x 11" brochures. 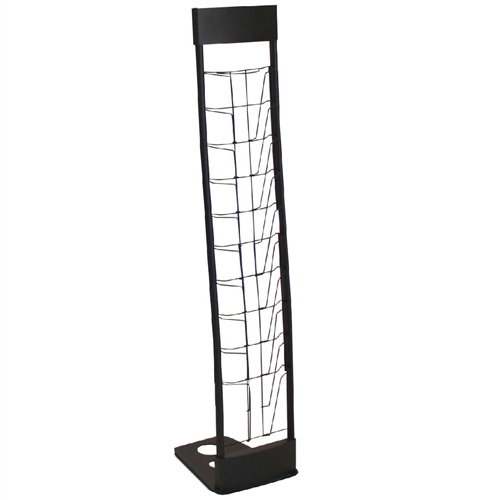 Collapses down into a fraction of it's size and packs into a hard metal case. 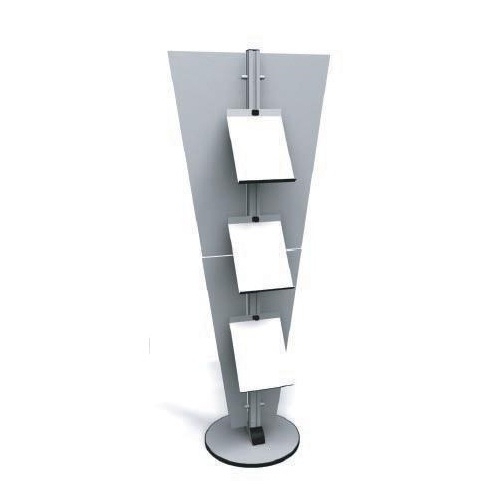 Ten pocket literature stand that breaks down into three sections for a reduced shipping size. Ships with its own carry bag.